This morning I was up at 7 am. My flight to DFW doesn’t leave until 12:15. I had my quiet time and prayed especially for three pastor’s whose wives are in extremely poor health and possibly facing death. My wife’s health is not good and it is especially on my heart this morning. God bless you men of God as you press on for our Lord and Saviour. I went to the restaurant and had a light breakfast and then on to the treadmill for my 4 miles. I increased my speed today to 5.0 with an incline of 4.0. When I finished and was on my way back to my room I greeted two of the ladies who have been so gracious in keeping my room clean and updated. 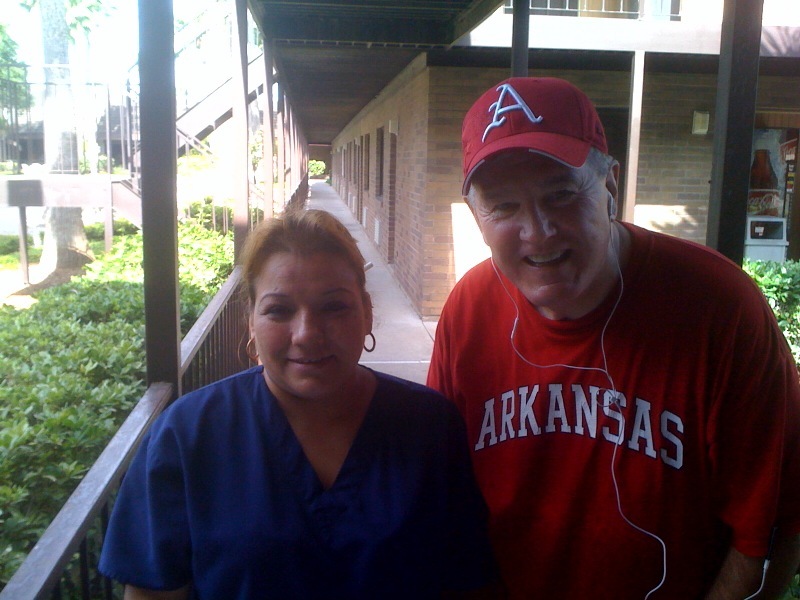 I first spoke to Olga and after a few minutes I gave her one of our churches Gospel tracks. I explained to her about Heaven and Hell. I presented Scriptures to her explaining how she can know as sure as she knows her own name that she is going to Heaven when she dies. In a few moments she bowed her head and trusted Christ to become the payment for her sins. When I lifted up my head from prayer and as I was giving her assurance verses I noticed Elena listening to me as I talked with Olga. I then chatted with Elena and guess what? In a few minutes she bowed her head and trusted Christ as her Saviour. The host from the church who was taking me to the Brownsville airport took the pictures and promised to pick up these dear ladies Sunday for church. GOTTA LOVE SOUL WINNING!